Alexandria George of Corning has been awarded the Nightingale Scholarship for Spring 2019. The Nightingale Scholarship is sponsored by the BRTC nursing faculty and staff and is awarded to practical nursing students in their second semester of the program. Recipients are chosen based on qualities that exemplify the spirit of caring embodied by Florence Nightingale. These nurses are motivators and visionaries who contribute to the redefining of the profession of nursing. 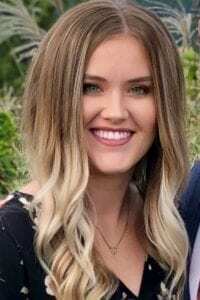 Alexandria has a Bachelor of Science in Public Health from the University of Arkansas and is the daughter of David & Christina George and Shannon George.